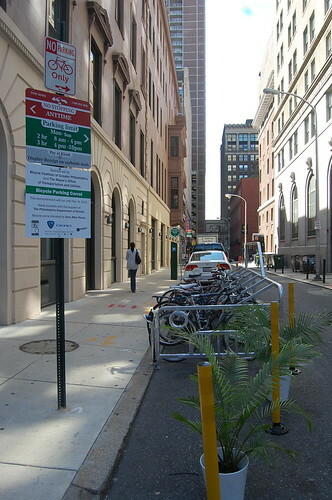 Greater Philadelphia Bicycle News: Help the Bicycle Coalition Keep Philly's First Bike Corral! 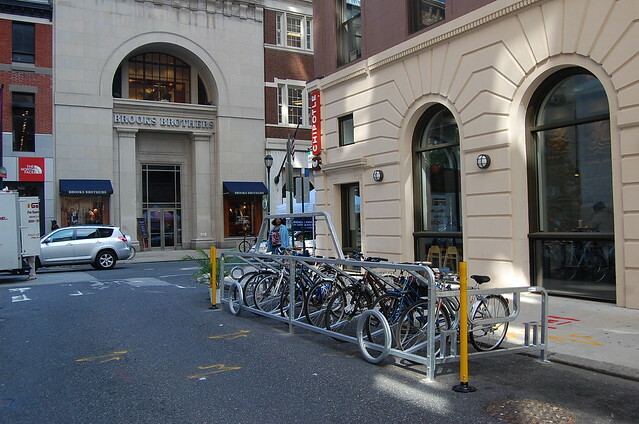 Help the Bicycle Coalition Keep Philly's First Bike Corral! What's not to like (love) about the new bike corral on Sydenham Street that was installed last week for Park(ing) Day? 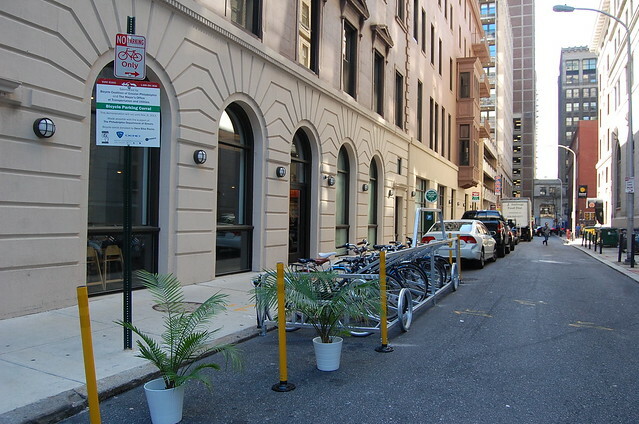 We think it's pretty fabulous and are thrilled to see bikes parked in it all day, every day, since we collaborated with the Mayor's Office of Transportation to get the loan from Dero Bike Racks and installation by the Streets Department last week. We're not alone in loving this rack. The Mayor's Office of Transportation, which wants feedback on the racks from the public, received this email last week. We couldn't agree more with Kelly. We want to make this rack permanent (although we're not sure of the exact location--that needs to be worked out with the Parking Authority). But, we need to raise $4500 to purchase the rack. We have one donation of $500 to start us off contributed by attorney Stuart Leon. If you are interested in making a donation to purchase this corral, please contact Mary Duffy, our Development Director at Mary@bicyclecoalition.org or click here to make an online donation. You don't need a Paypal Account to donate, just enter your donation amount and scroll down to where it says you can continue without a Paypal Account. Help us Buy the Bike Corral!